The foundation for good, long-term oral health is built in childhood, and Hayward area family dentist Dr. Gary G. Fong is proud to offer gentle, personalized dental care to patients ages 2 and older. If you or your child is due for a dental checkup or is experiencing a potential oral health problem, please call 510-582-8727 to schedule your visit. 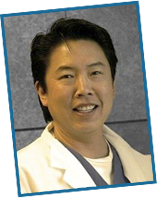 Dr. Fong welcomes patients from the Hayward, Castro Valley, San Leandro and Union City, California, areas. Early childhood dental visits help teach kids good oral health habits, establish trust with a dentist and dental setting, and allow Dr. Fong to assess for potential conditions before they become serious. Regular childhood checkups are also an opportunity for our family dentist to educate parents and caregivers. Dr. Fong and our friendly team are dedicated to giving patients the information they need to better improve their oral health and the oral health of their family members. We understand that dental visits can be a strange, and even scary, experience for young children. Dr. Fong and our staff have extensive experience working with child patients, and we offer compassionate care in a comfortable setting. Choosing a sole dentist for you and your family has a number of benefits, including convenience, trust and comprehensive care. Regularly visiting your family dentist allows Dr. Fong to develop an understanding of the personal needs of you and your loved ones. Your exams are a chance to discuss your eating habits, your dental hygiene routine, and other issues that affect your oral health. Dr. Fong also understands that families have busy schedules, and we work hard to accommodate the time constraints of you and your family. To schedule a dental appointment for you or your child, please contact Dr. Gary G. Fong today. Dr. Fong is proud to serve families from the greater Hayward, Castro Valley, San Leandro and Union City, California, areas.